The modern musical instrument has its roots in ancient traditions. Today wood, construction and electronics in accordance with traditional craftsmanship create instruments that must fulfill the high requirements of the players all over the world. Today as well as back in the days only a few do master the art of bringing an instrument to life. To combine new technology with the knowledge of ancient times in order to provide an individual instrument is what Schack Guitars aims for. To achive this Andy Schack, the founder of Schack Guitars, has persistently pursued his way for 30 years. 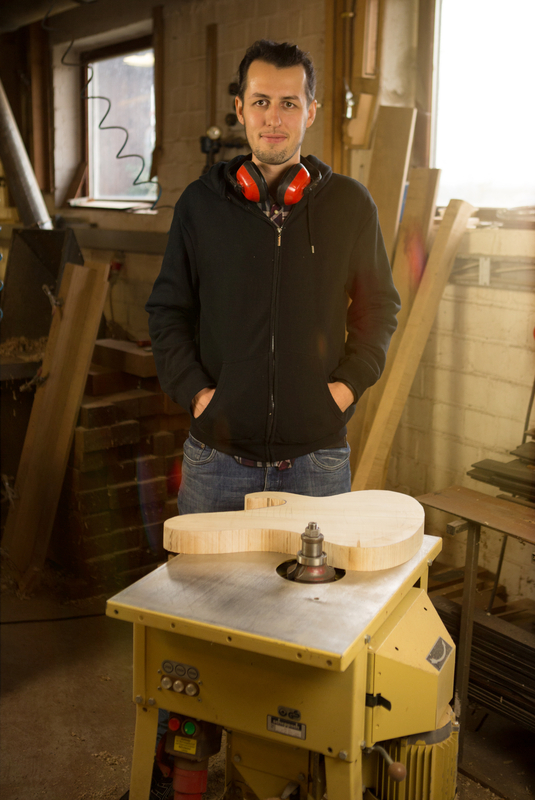 Since 2010 his son Nico Schack, who is an award winning master luthier, has become the new manager of Schack Guitars after he joined the company in 2006. Since then he continues the work of his father and brings in new ideas and improvements. Within over 30 years of experience and development and more than 15,000 build instruments Schack came up with innovations especially for electric bass guitars which are irreplaceable for the market today, such as: First manufacturer of graphite necks from own production, the introduction of two-and three-band equalizers as a standard electronics, international launch of the Extra Long Scale 36", CNF (Covered Neck Fixing) neck-fitting and the polymerization of tone woods. These are just a few important milestones on the way to build instruments with better handling, improved playability and a more versatile sound. But for all that you will still find the uniqueness in every single handmade one.